Ren: We're tired, we're hungry, and we just got attacked by a killer squirrel! Fans of the classic cinema and especially Bing Crosby might not have caught the resemblance between The Even Stevens Movie and Waikiki Wedding. But for me it was hard to miss. 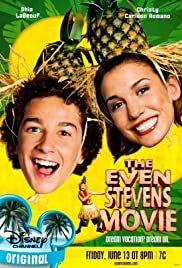 The Even Stevens Movie is a final send off for one the Disney Studios popular teen comedies after they had completed their prerequisite three year run. The show made Shia LaBoeuf something of a name, though in his movie career since leaving the Magic Kingdom, he's been trying to live his image down. While there he even behaved in most UnDisneylike fashion. The show consisted of the Stevens family of Sacramento with mom Donna Pescow both homemaker and State Senator and father Tom Virtue an attorney. They have three children; oldest Donnie (Nick Spano) a dumb jock, daughter Ren (Christy Carlson Romano)the straight A overachieving perfect kid, and classic screwup Louis played by Shia LaBoeuf. The family is offered a dream vacation by Tim Meadows on a tropic island almost too good to be true. It is too good to be true because Meadows is the producer of a reality TV series and he orchestrates several incidents with the 'natives' and the wildlife. The Stevens family ends up living like Robinson Crusoe as primitive as can be, more primitive than the castaways and definitely more hostile to each other. 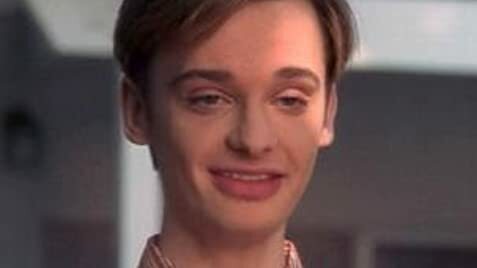 As for the Crosby film, that's the one where Bing stage manages an adventurous vacation for Shirley Ross where he's a pineapple company representative and she's Miss Pineapple USA. Of course Crosby and Ross got to sing a few songs and we also had the classic comedy of Martha Raye and Bob Burns. No Crosby ballads in The Even Stevens Movie, the comedy ain't classic, but it does have some funny moments. Best one is when Shia LaBoeuf pulls what turns out to be a self destruct lever and the whole king's palace tumbles around him, all part of Meadows's machinations. The Even Stevens Movie has some moments, but it's not anything to stay up nights for unless you're a big fan of the show.